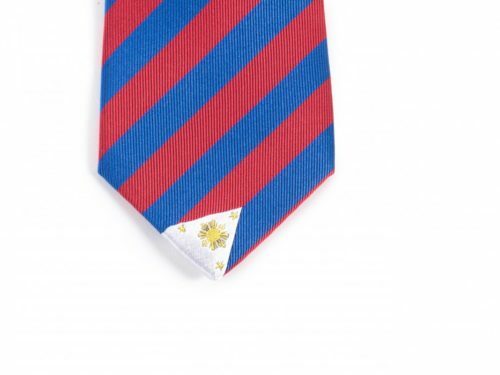 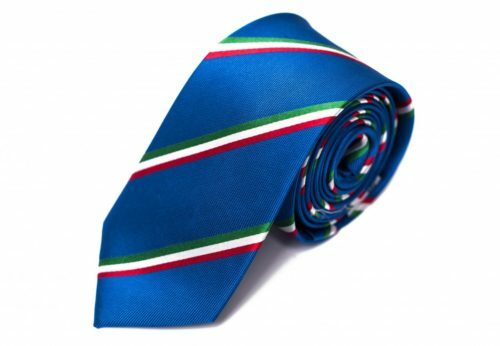 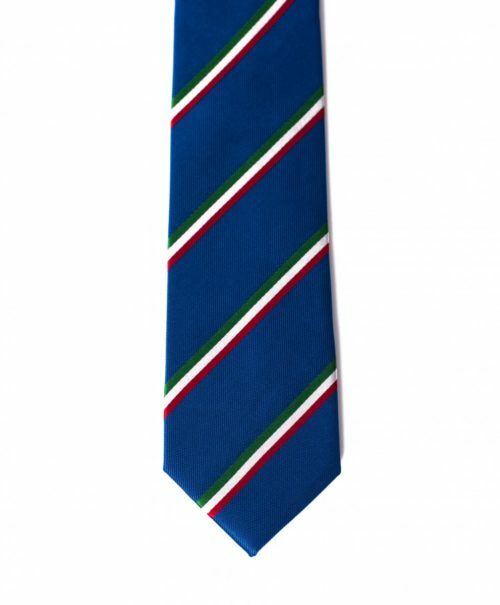 Statesman Tie’s Italy tie was designed to represent the Italian Flag. 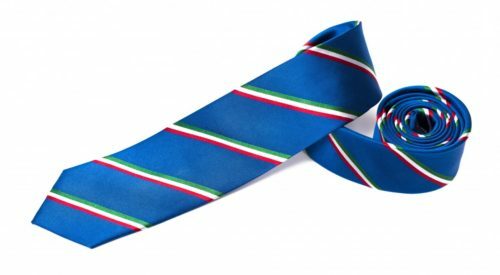 The design takes elements from the Italian flag and mixes them together to create a tie that can be worn at any time for any occasion. “The flag of Italy (bandiera d’Italia, often referred to in Italian as il Tricolore [il trikoˈloːre]) is a tricolour featuring three equally sized vertical pales of green, white and red, with the green at the hoist side. Its current form has been in use since 18 June 1946 and was formally adopted on 1 January 1948. When designing the tie, we used colors from the flag and combined them with the color that is most commonly used with the national sports teams of Italy: blue (or Azzurro). 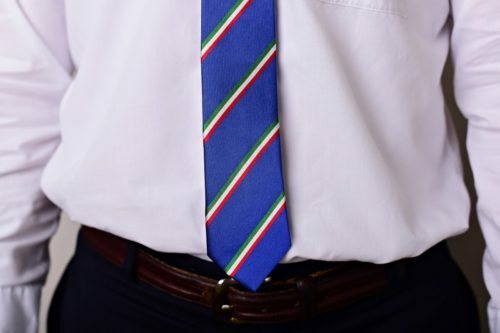 The flag has vertical green, white and red lines, so we laid those lines on top of the Italian blue and created our Italy tie. We think it turned out classy and something we think represents Italy well. 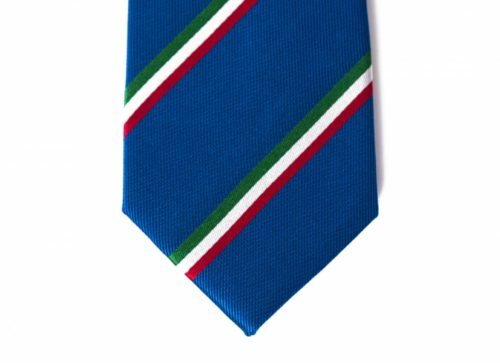 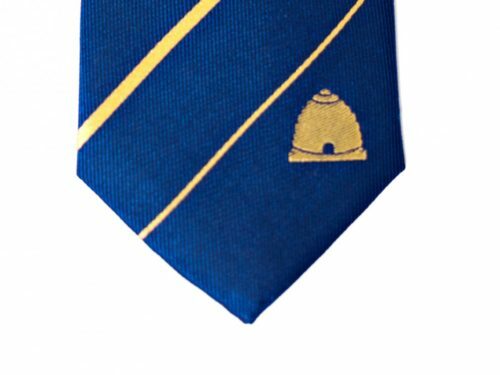 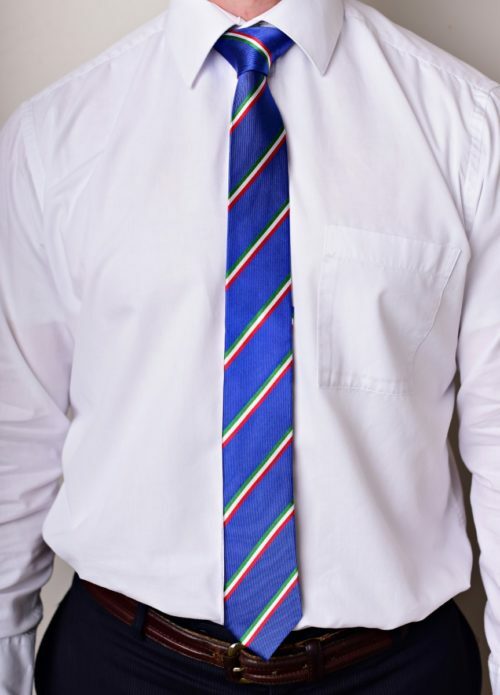 The Italy tie is a great gift for missionaries, businessmen, and anyone who loves Italy. 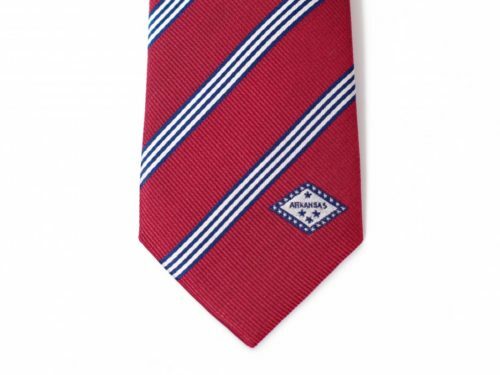 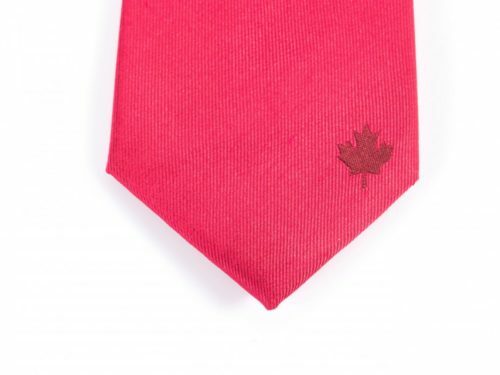 Our high quality Italy tie is made with 100% woven silk and measures 61″ long x 2.5″ wide. 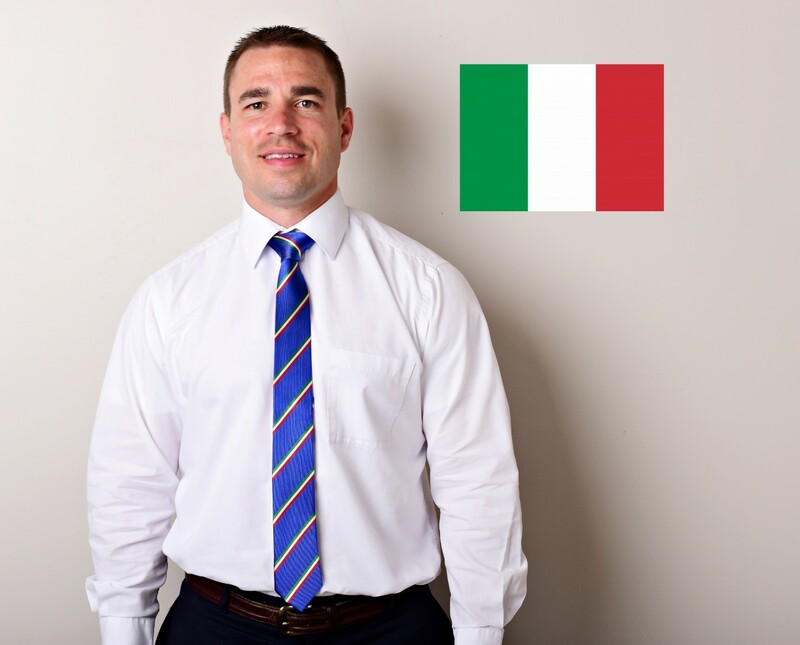 Represent Italy with pride by showing everyone where you’re from, where you’ve been or where you’re going.